This species is accepted, and is native to Europe, Asia-Tropical, Africa, Aleutian Island and Asia-Temperate.. 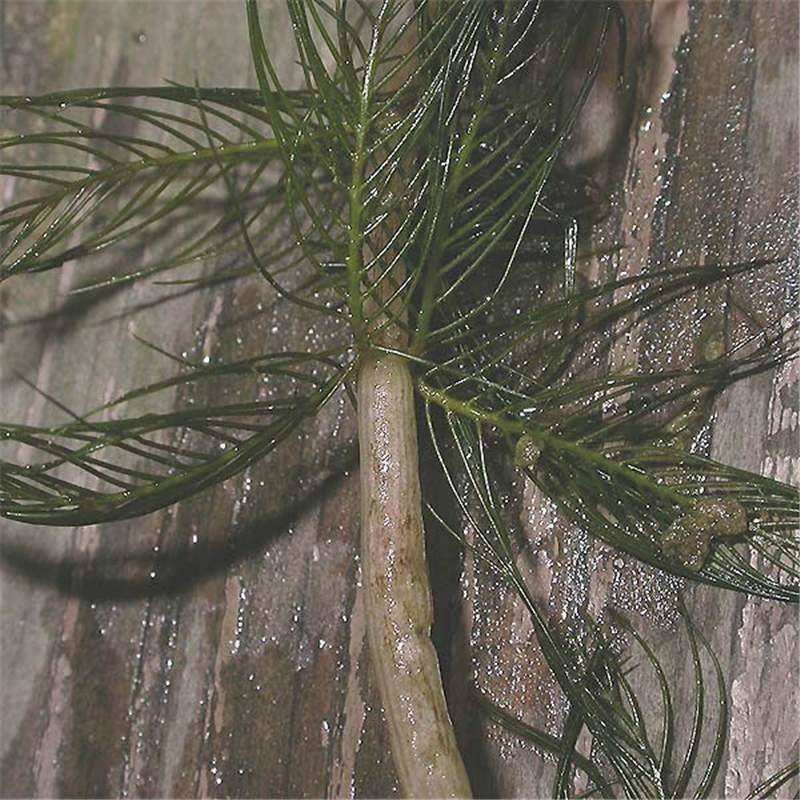 Aquatic herb, usually submerged, occasionally creeping on to muddy banks; rhizome rooted; stems up to 2 m. long, usually branched. 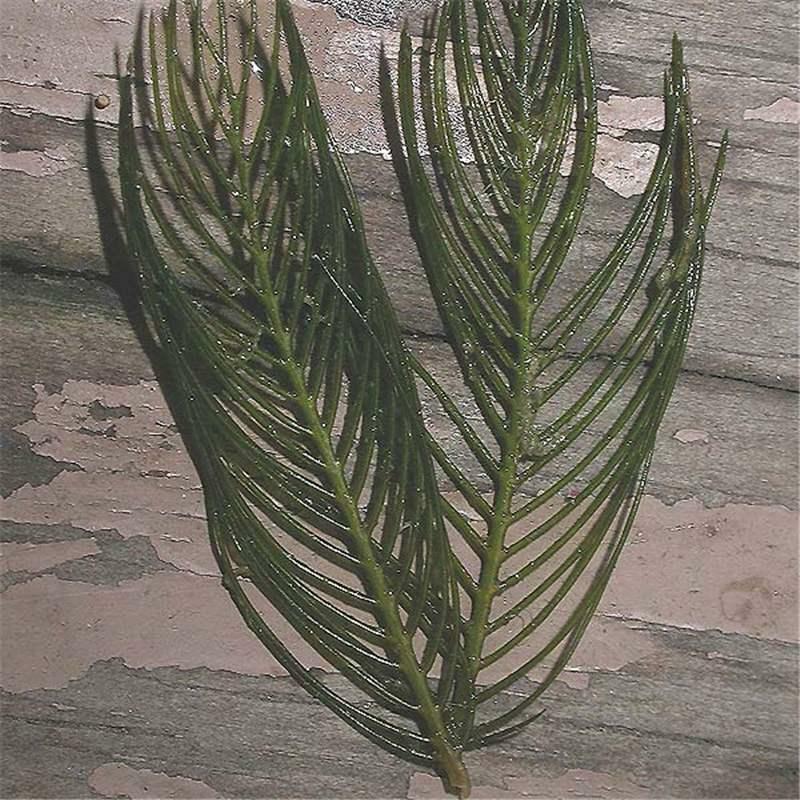 Submerged leaves pinnatisect, in alternating whorls of (3)4(5), glabrous, ± equalling intemodes; leaf-segments 7–11 on each side, filiform, usually obtuse at apex; stipule-like outgrowths absent or inconspicuous. 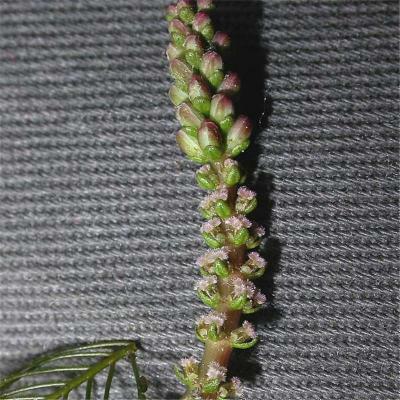 Flowers unisexual or bisexual in terminal emergent spikes up to 10 cm. long; spikes interrupted with whorls c. 1·5 cm. 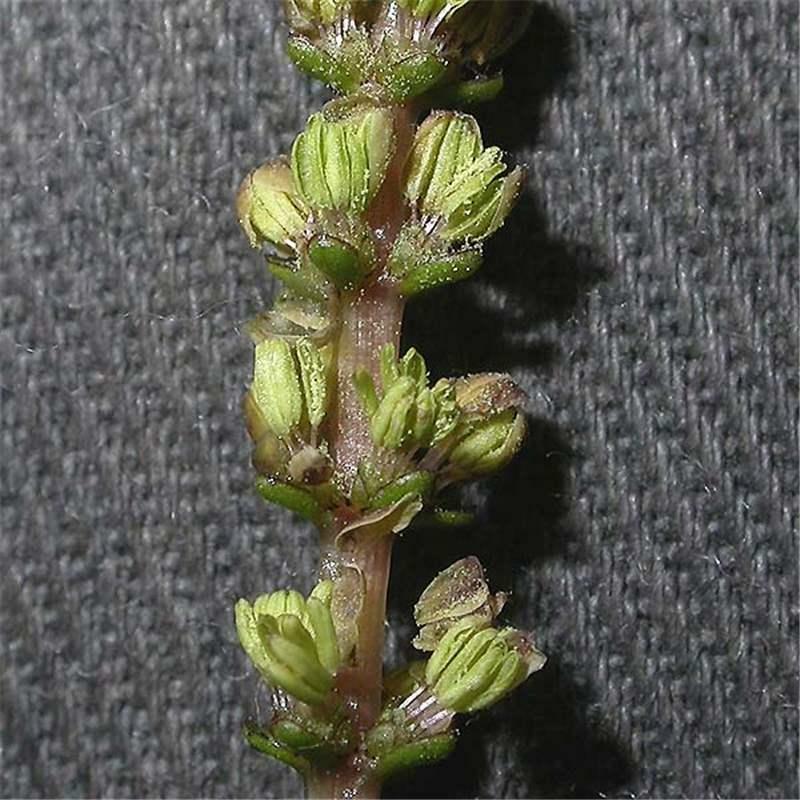 apart along a 4-angled rhachis; whorls of 4 obovate entire bracts (except the lowest which are pinnatisect or dentate); upper bracts shorter than the flowers; bracteoles broadly ovate to triangular, entire. Petals 4, c. 3 mm. long. 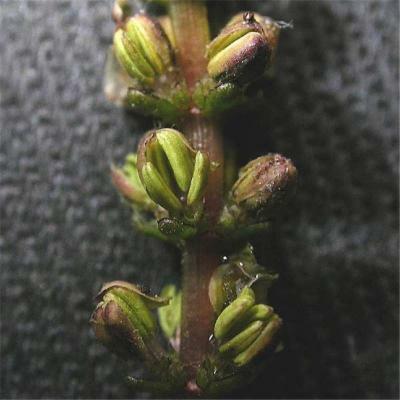 Stamens (?2)8; anthers c. 2 mm. long; filaments c. 2 mm. long. Fruit subglobose, c. 3 mm. in diameter, 4-sulcate, usually with 8 longitudinal verrucose ridges or rarely smooth.